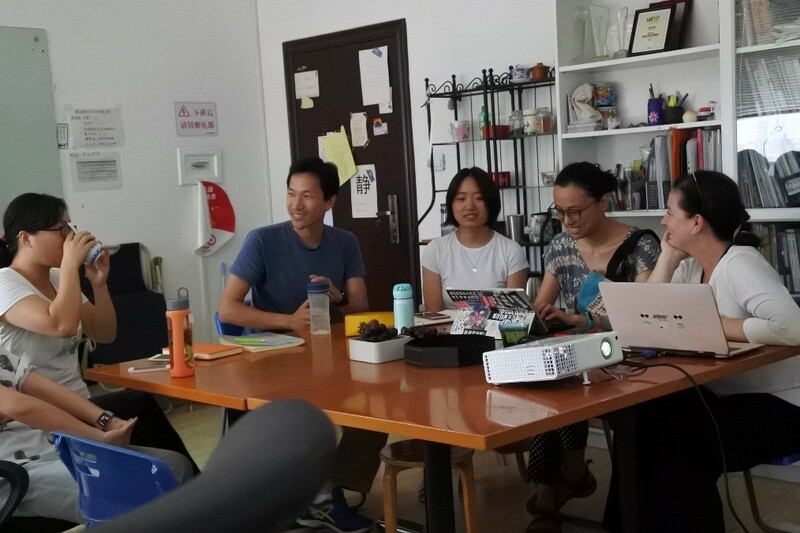 Yesterday I’ve had the chance to present our work of the ’Büdchen am Nikolausplatz’ to the colleagues of Xiaolu (Aifen) in their meeting room. They were especially interested in our Recup system, a deposit system that we use for a more sustainable coffee to go. Also, I could inform them on how we in Germany organize the deposit system for plastic bottles. 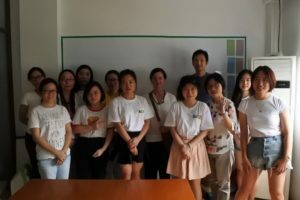 Since they are working very hard on the education of the residents of Shanghai in waste classification, they were very much interested in how this worked in Germany. I could give them a brief overview and also shared my own experiences when the Dual system was established in Germany and the resistance it faced at the beginning. In this exchange program, the organizations will compare and analyze their different systems of waste management. Furthermore they will work with local communities and jointly start programs of environmental education for school and the public. 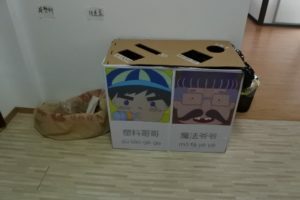 In order to learn more about waste management in practice, they are searching for dialogue with local people. In their program the twinning partners focus on exchanging information about the impact of municipal waste incineration on communities. This information will serve them as relevant data for pollution prevention and zero waste strategies in both China and Romania. They will carve out bad practices to avoid as well as positive solutions to implement on individual and community level, and postulate measures that governments or companies should implement. The focus of their exchange lies in social justice and group building projects on a wide scale. Topics include the victims of urbanization and neoliberalism, as well as closing the gap between different generations. They also deal with waste prevention by exploring a reciprocal way of living and informing the people about little steps to take action.